The fewer jobs an operator knows enable them to know each job better, essentially allowing them to become experts. However this places greater constraints on scheduling and overtime, thereby contributing to operator fatigue, which is now required to be assessed as part of pipeline investigations and was cited as causal factor in BP Texas City investigation. The Center has delved into this area of research through the use of data mining technology and examined the impact of number of shifts worked on human-related errors. How do “work hours and loads” impact job performance and when do these impacts create risk? What tools and/or technologies and implementation techniques can impact job design to leverage maximum job performance? What techniques, methods, and/or metrics can be applied to quantify achieved Job Design benefits and/or identify continuous improvement opportunities? When is job rotation beneficial? When is it detrimental? Do prolonged, continuous days at work degrade performance (fatigue)? Does allowing “alertness recovery” enhance alertness? Are there alternate methods? How do we ensure that operator vigilance is maintained (e.g. not forgetting to fly the plane)? What would an incident reporting database look like? What are the effects of night shifts on performance? What are the effects of shift rotation? Can we quantify the benefits of dedicated console operators? What should the console operator do besides control? What are the effects of low (underloaded) workload on field and console operators? 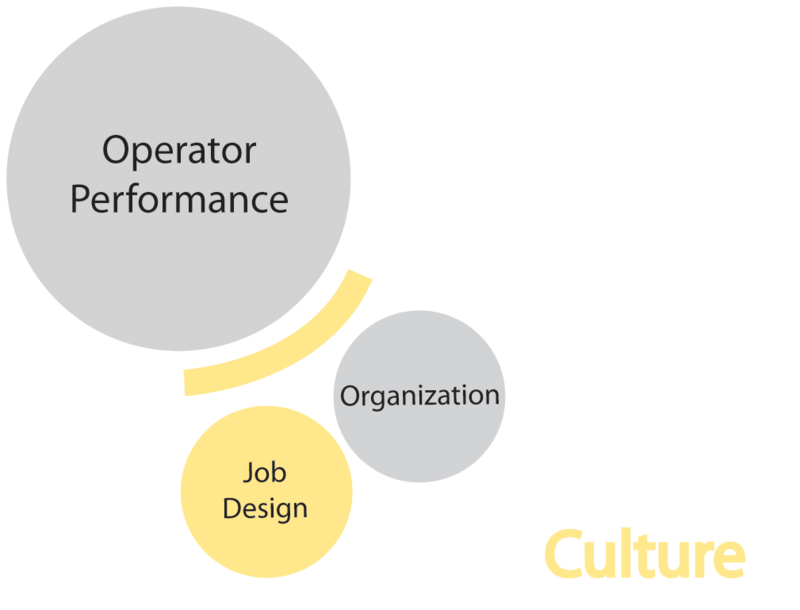 Can operator fatigue be measured? Do you have a question or hot button issue that isn’t on our list? We’d like to hear from you so send us an email with your concerns and suggestions. Review the Completed Projects and Current Work of the Center on ways to enhance operator performance. Members can access project reports in the Members-Only Section.